The MO-735 can do just about anything! From serging to chain stitch to coverstitch. This machine is packed with features for the serious sewer. 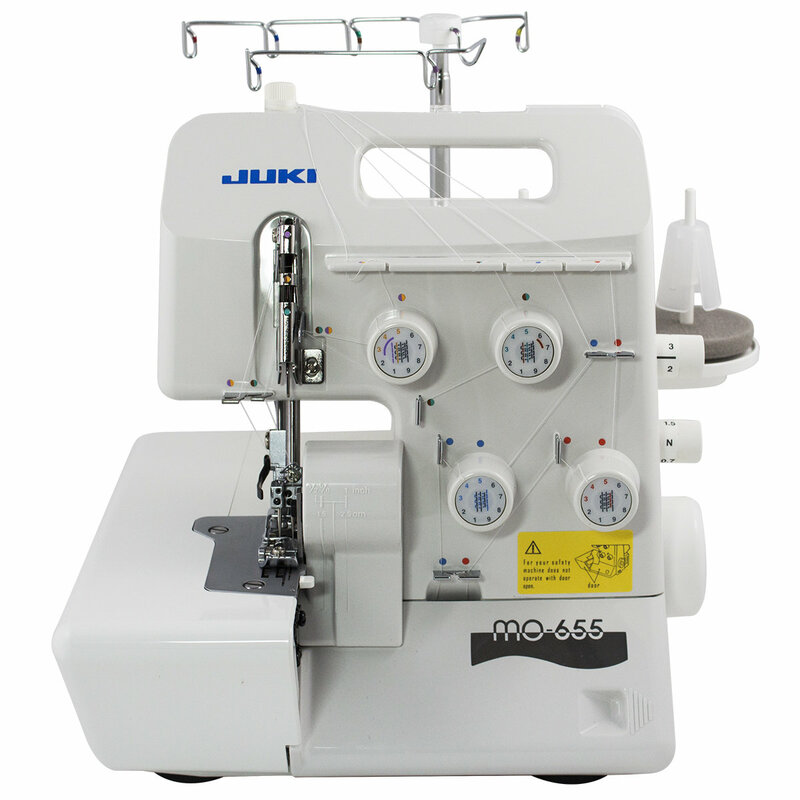 The Juki MO-655 Serger is a 2-needle, 2/3/4/5-thread Overlock machine with differential feed and Chainstitch. Create the latest fashions or decorative home items and crafts with the MO-655 five-thread serger. It offers differential feed and built-in rolled hemming. It will perform all the popular overlock and flatlock variations. The MO-655 also performs a 2-thread chainstitch, making it possible to sew a secure 5-thread safety stitch. The Juki Pearl Line Home Sergers offer several exciting models to expand your sewing capabilities. Create the latest fashions or decorative home items and crafts with the Juki MO-654DE four-thread overlock. These units offer differential feed and built-in rolled hemming and perform all the popular overlock and flatlock variations. The Pearl line sergers are ideal for use with today's latest fabrics as well as decorative threads. Add serging techniques to your world of sewing and open new doors to design opportunities! Adjust the differential feed dial to create fashion techniques or to keep things moving along evenly. Use the dials to change the stitch length for specialty thread or overlock techniques. The MO-655's knife system runs with a dedicated drive to assure smooth and consistent cutting on a wide range of fabrics. The looper disengages for easy , fast looper threading. Slide the thread into the slot and snap the looper into place.